My violins are based on Guarneri and Stradivari patterns, apart from baroque instruments, for which I look at Stainer and Amati models. 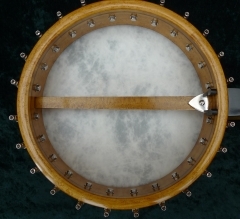 My love affair with the banjo began when I was introduced to early english banjo music.My banjos are inspired by the makers from the golden era, both american and english. 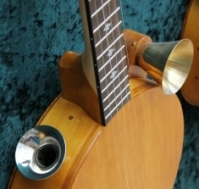 I developed the BanSitar to enable musicians of the western world to create a sitar-like sound without actually learning to play the Indian sitar. photographs are examples of my work and models might change without prior notice. 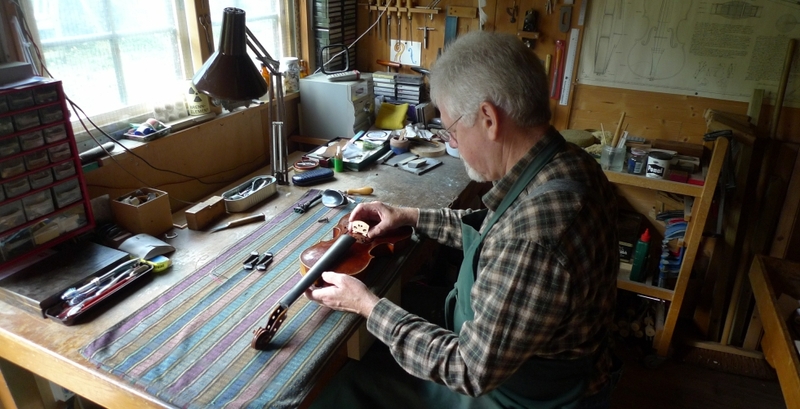 Working on the sound of an instrument starts with the right choice of wood. Choosing a piece of wood is a very exiting and intimate experience. It is also a personal choice, one has to make friends with it. The more figured variety is very suitable for backs, especially for violas. and I prefer to use european woods from sustainable sources. some of it is older, nothing younger than ten.